The skin is the largest organ of the human body. During early stages in life, the skin performs at peak conditions. However, as we grow older the skins’ functions slow down and we begin to see signs of aging. There are many factors associated with skin aging which can be broken up into two main categories: intrinsic and extrinsic. Heredity- Heredity is a chronological and genetic factor that we have no control over. How we age is encoded into our DNA which is passed down from our family. This is why some people get deep wrinkles while others do not. This does not mean, however, that what we look like as we get older is written in stone. We can control the extrinsic factors and help our skin age gracefully and beautifully. Environment- The most destructive environmental factor responsible for rapid aging of our skin is sun damage. Too much exposure to harmful UV rays causes premature wrinkles and skin disease. Studies have shown that UV light damages elastin which causes the skin to sag and wrinkle while also slowing down its ability to repair itself. Limiting sun exposure can help to slow down the aging process. Another environmental factor that is harder to control is pollution. When we are exposed to chemicals in the food we eat and chemicals in the air such as car exhaust and cigarette smoke, free radicals are formed. This deprives our skin of vital oxygen and interferes with normal blood flow which causes our skin to age more rapidly. Life style- Nutrition also plays an important part is skin aging. Everything that we take into our body affects skin wellness. This is why it is essential to drink plenty of water, as sufficient water intake and a balanced diet containing vitamins and antioxidants, enables the liver to remove toxins and waste from within the body. 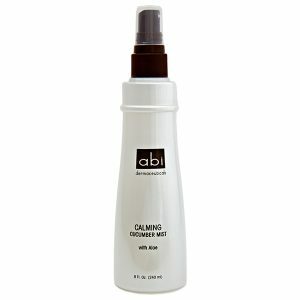 ABI Dermaceuticals has several powerful products that combat the various signs of aging; fine lines and wrinkles, uneven skin tone and texture, and loss of vital skin elasticity. We recommend the following products due to their ability to promote collagen and elastin production, increase cellular turnover, diminish fine lines and wrinkles, and even out skin tone. 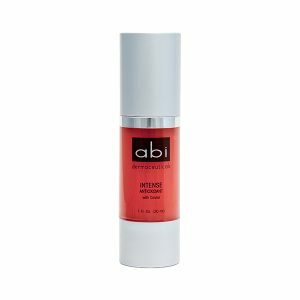 This intensely rich cream utilizes the proven power of Eyeliss® and Haloxyl® to diminish dark circles, signs of puffiness, fine lines and redness. This product can be applied under make-up and throughout the day to further provide relief from dark circles and puffiness. Appropriate for all skin types including sensitive, mature and dry. The mild enzymes of pineapple and papaya break down the keratin (a protein) in the dead skin cells, dissolving and removing lifeless, dull, rough skin to reveal the softer, healthy layers below. 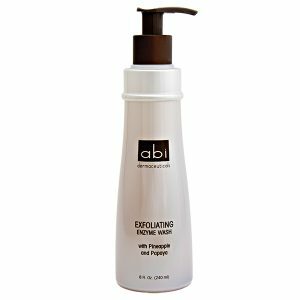 This wash also includes nourishing moisturizers which help to hydrate and balance the newly exposed skin for a fresh, vibrant complexion.